Available in 2 oz. bags. Who says dogs have all the fun? 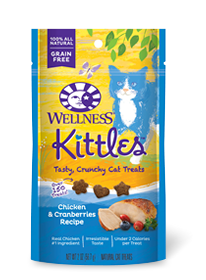 Indulge your cat with Kittles™ natural, grain-free treats. Kittles™ are crunchy cat treats that come in three scrumptious flavors: Salmon & Cranberries Recipe, Chicken & Cranberries Recipe, and Tuna & Cranberries Recipe. 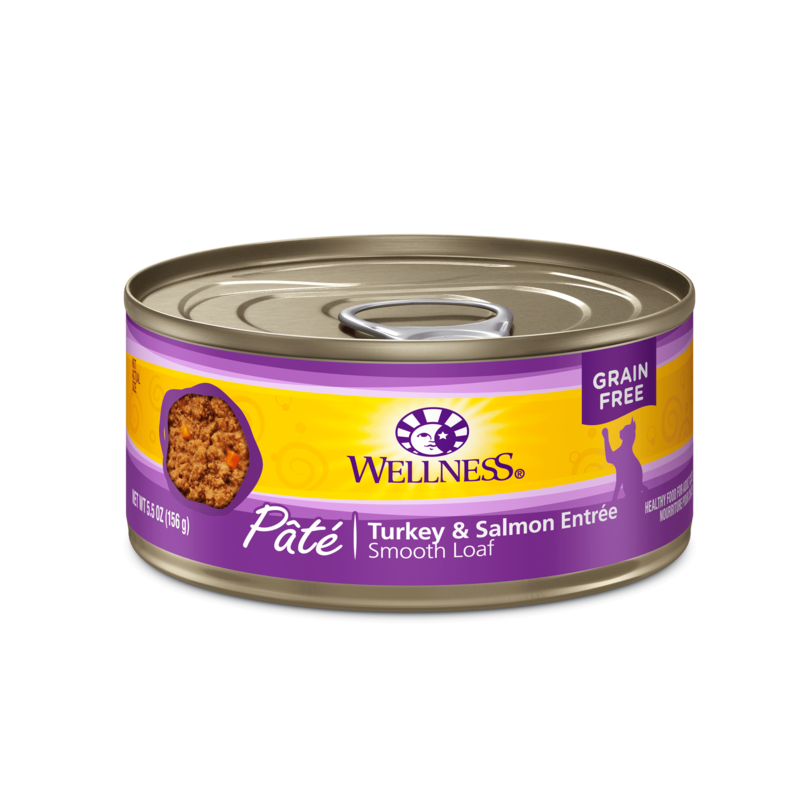 Each morsel also has under 2 calories, so pet parents can treat their loved ones multiples times per day with these guilt-free goodies. 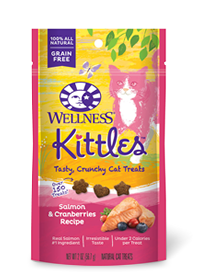 Wellness Kittles™ Salmon & Cranberries Recipe Cat Treats are intended for intermittent or supplemental feeding only. Calorie Content (calculated): This product contains 3,542 kcal/lb or 1.1 kcal/treat ME (metabolizable energy) on an as fed basis.